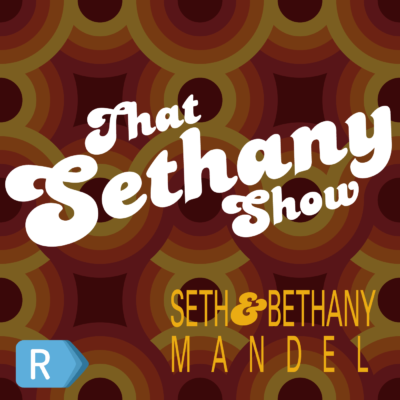 Seth and Bethany Mandel - also known by their cutesy couple name Sethany - host a weekly show talking politics, culture and married life as conservative political journalists. Seth and Bethany discuss the state of the media in light of major mess ups and layoffs in the last weeks, and then had a strange fight about the metric system. Is The Shame Mob Coming For You? Seth and Bethany discuss the media’s missteps over the weekend on BuzzFeed’s Cohen story and the MAGA boys, and the general mob mentality that has emerged in our society. Seth and Bethany talk about what it means to be conservative in the age of Trump, if anyone actually is or ever was, and if our entertainment will ever be funny again. 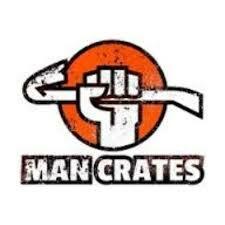 After an excessively long hiatus, Seth and Bethany Mandel have returned to recording with a discussion about their move, Seth’s new job, how to not be a jerk in the age of outrage mobs, and also Bethany cried. Seth and Bethany spend an uncomfortable twenty minutes talking about Charlottesville before getting to the CNN / NYPost scuffle. Seth and Bethany talk adultery and what makes a happy marriage. They request of family members: please don’t listen. Seth and Bethany talk Father’s Day, if Bethany owns a MAGA hat yet, and how they survive the mommy/daddy wars. Seth and Bethany discuss the second coming of the Kim-Trump summit and her piece for the New York Post on suicide. Seth taught Bethany the word cloying during this episode, where they talk Samantha Bee, Kim K. at the White House, Shabbat and wonderful places outside of New Jersey. Seth and Bethany talk about the record low fertility rate, why people aren’t having kids, but why they are. Seth mansplains the West Virginia primary to Bethany, their baby’s first steps, and an unscripted segue on how they would each go about having an affair. Seth and Bethany talk March for Our Lives, why Bethany regrets converting every Passover, and who they want to punch in the face. Bethany and Seth do a show from the campus of Stanford University and discuss their trip to California. ​That time Bethany made Seth record a podcast during the Super Bowl. We talk sportsball, the Memo, and our favorite writers on the right and left.